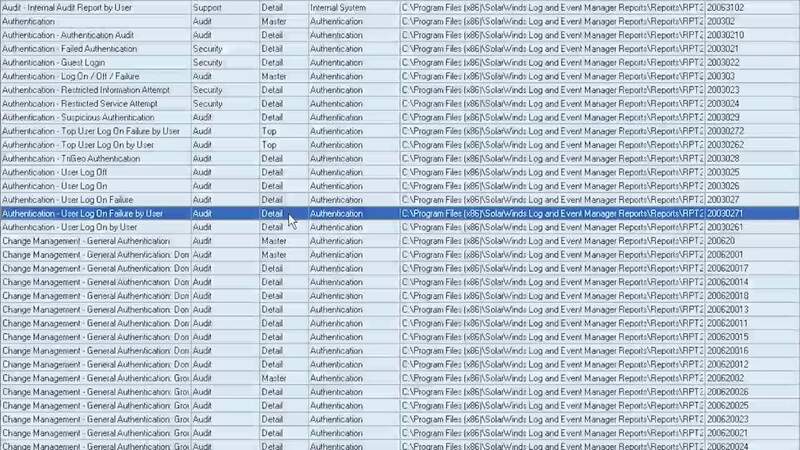 Automatically collect and analyze user logs from your network devices, servers, and databases. Dive deep into a specific user's suspicious activity and find the root cause of the security event. Proactively block and respond to unauthorized or suspicious user initiated actions. SolarWinds Log & Event Manager helps you monitor user activities, such as suspicious logon and logoff on critical servers, workstations, and network devices. Identify privileged account abuse on admin accounts and groups and get alerted on unauthorized software installations and data transfers. Log & Event Manager provides complete visibility into which managed server or network device was accessed, when, and by which user. This helps to determine whether the attack is from the inside or from an external source. Once you've determined a user of suspicious activites across the network, you can do an in-depth search to identify the audit trail and determine the user's historical activity. Additionally, Log & Event Manager helps you define correlation rules centered around this specific user so that you can automate alerting to all events triggered by the user activity. 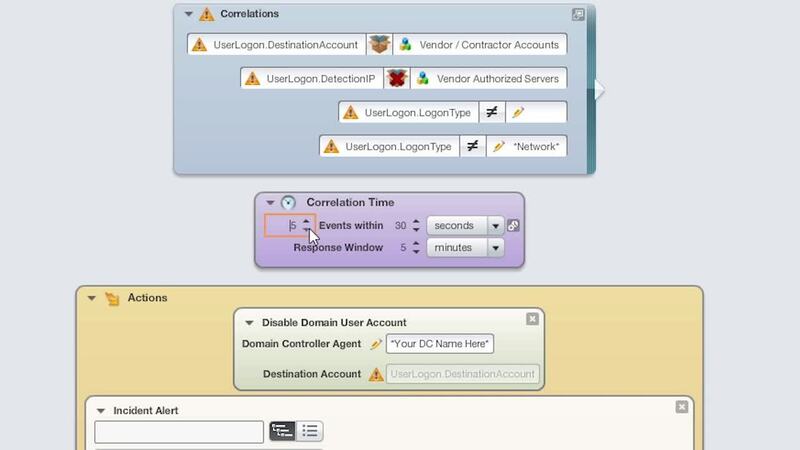 Log & Event Manager features an in-memory correlation engine that provides security incident awareness in real-time. You can choose from hundreds of built-in rule templates, and customize them to detect and respond to suspicious user activities, such as adding or removing users from admin groups, accessing a business-critical server after office hours, and more. Some of the corrective actions upon detecting these anomalies include blocking IP addresses, sending alert pop-ups or emails, logging off the user, restarting or shutting down the source machines, etc. "Putting File Integrity Monitoring in place has given us unprecedented visibility into the file-level behaviors of our business, which helps us better support our users." Suspicious user activity can compromise security across the network, leading to a data breach. Finding the root cause of an incident, and tracing it to a suspected user, becomes difficult without comprehensive audit trails. Non-centralized and manual log analysis increases the time it takes to remediate threats and prevent business downtime.